My children’s novel A TALE OF TWO BEARES is now available for purchase at the low, low price of 99p until 8 September 2015 (price rises to £1.99 thereafter). So get it while it’s hot…and cheap! A stirring story of sibling rivalry, conspiracy and redemption. Bob Beare – successful, urbane Teddy of the Year – has been tasked with organising the One Hundredth Annual Teddy Bears’ Picnic, but his scruffy, accident-prone brother, Migraine, is planning to sabotage his efforts. Gerald, the one-eyed cat, has evil designs on them both. Find out more about them, the Story of the First Bear, Designated Cuddling Days and the Teddy Tube in this delightfully different book. 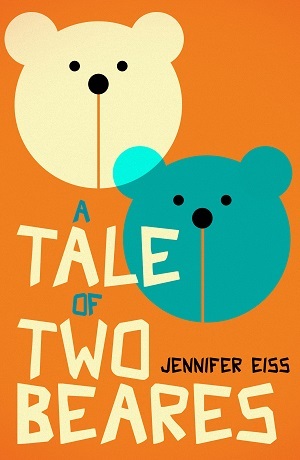 Funny and touching in turn, teddy bear companions of all ages will enjoy discovering just why teddies are so terribly superstitious and notoriously bad at maths in A TALE OF TWO BEARES. A TALE OF TWO BEARES will be on sale at all the very finest ebook retailers on 25 August 2015. Suitable for ages 8+.